Former national 7s halfback Josateki Savou commended Fiji Airways Fijian 7s coach Gareth Baber for achieving so much in a short span of time. Savou who was also a former Fijian 7s coach said it was unlucky the team did not win the 2017/18 World Sevens Series last weekend. 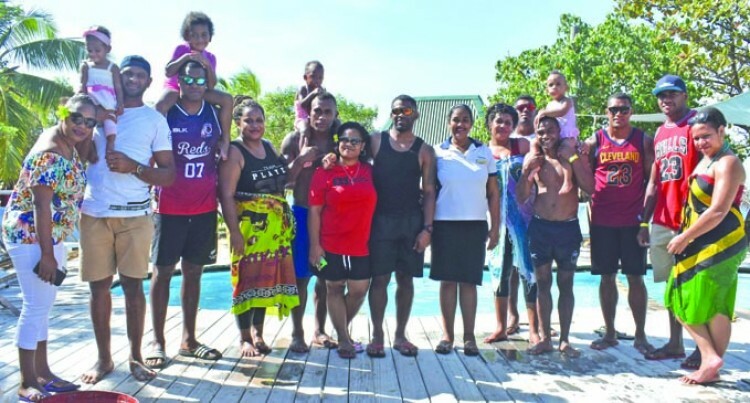 He added under the guidance of Baber, Fiji has the potential to win the Rugby World Cup Sevens (RWCS) in San Francisco on July 20-22. “It was unfortunate that we lost in the Cup quarterfinal to England but we should be thankful to the boys and the team management,” Savou said. “It is good to see Baber producing the results since taking over from Ben Ryan in October 2016. Savou said individual defence and discipline was something that led to the team’s downfall but overall they played a good game. According to Savou the following players would make a good combination for the RWC Sevens and they are Leone Nakarawa, Semi Radradra, Josua Tuisova Josua Kurinabili, Semi Kunatani, Paula Dranisinukula, Jasa Veremalua, Seremaia Tuwai, Amenoni Nasilasila, Vatemo Ravouvou, Alasio Naduva and Sevuloni Mocenacagi. The RWC Sevens is the premier stand-alone international rugby sevens competition outside the Olympic Games. The event is contested every four years, with tournaments for men’s and women’s national teams co-hosted at the same venues. The first tournament was held in 1993 in Scotland, the birthplace of rugby sevens. The winners of the men’s tournament are awarded the Melrose Cup, named after the Scottish town of Melrose where the first rugby sevens game was played. . In men’s RWC Sevens, Fiji and New Zealand have each won the tournament twice. England and Wales have won a single tournament each, while Argentina, Australia and South Africa have reached tournament finals but not secured a title.